Each year in October, throngs of Dalits, members of India’s “untouchable” Scheduled Castes, across the subcontinent undergo a deeksha (initiation ceremony) to formally convert to Buddhism. These mass conversions are organized to coincide with celebrations to commemorate the historic events of 14 October 1956, when Dr. B. R. Ambedkar (1891–1956), affectionately known as Babasaheb, formally severed ties with Hinduism, declaring: “Even though I was born in the Hindu religion, I will not die in the Hindu religion.” After taking refuge in the Triple Gem of the Buddha, the Dhamma, and the Sangha, and receiving the Five Precepts (Pali: Pancasila) from the monk U Chandramani Mahathera, Dr. Ambedkar turned to the more than 400,000 of his followers present and delivered the Three Refuges and an additional 22 vows, heralding the rise of a new Buddhist movement—one that continues to impact the lives of hundreds of thousands of people in India and beyond. 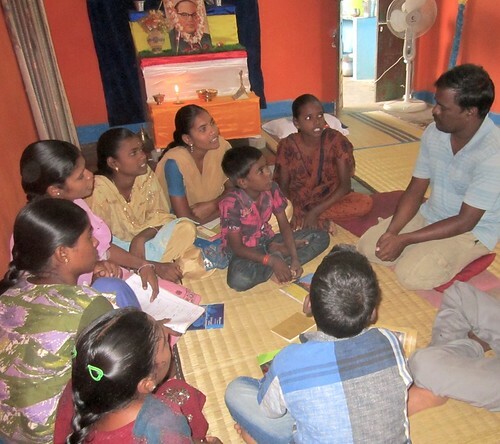 With millions of Dalit Buddhists spread across India, the TBC needed a place that would serve both as training center for imparting Dr. Ambedkar’s message and also as a focal point for Buddhist social activists from India and around the world. In 1992, with the support of friends from Europe, Taiwan, and the US, the TBC embarked on a plan to build Nagaloka, an international Buddhist center just outside Nagpur. Spread over 15 acres, the heart of the Nagaloka campus is the Nagarjuna Training Institute (NTI), so named because tradition has it that the great Buddhist master Nagarjuna lived in the area. The aim of the NTI is to train young people in Buddhist teachings and practices, and to inspire them with Dr. Ambedkar’s vision—a path for the transformation of the individual and society through Buddhism. Since 2002, more than 1,000 students from 24 states in India have participated in the one-year residential training program at the NTI. The course covers instruction in meditation, Dharma, social work, and mobilizing communities. Upon graduation, the students band together as the NTI Alumni, a network of young men and women passionately committed to fulfilling Dr. Ambedkar’s vision of Prabuddha Bharat, an enlightened India based on Buddhist values, and on social, economic, and political justice. 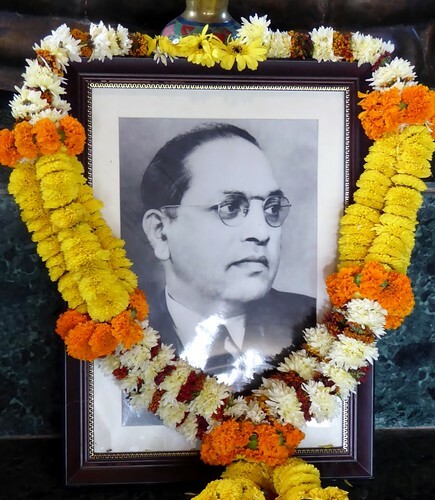 In Dr. Ambedkar’s vision, this enlightened India is a society free from sorrow, suffering, and discrimination, pervaded by compassion and an understanding of the interconnectedness of all that exists. In this society, there is respect for fundamental human rights and for the dignity of all, regardless of social status. The bedrock for establishing such a just society are the values of liberty, equality, and fraternity—values that Dr. Ambedkar saw as key elements in the teachings of the Buddha. The members of the NTI Alumni form an all-India network of Dhamma workers and supporters with one common goal. In spite of their many difficult conditions and lack of resources, they engage in social activism, running schools, hostels, community centers, retreats, and Dhamma classes, and provide support for those who want to throw off the shackles of caste and untouchability. One such example is Jayasridhar Shanmugam from Tamil Nadu, who was among the NTI’s first students. After the 2004 Indian Ocean earthquake and tsunami, he observed that Dalit children affected by the tsunami were discriminated against during local and international relief and rehabilitation efforts. With the help of his family and friends, Shanmugam initiated Sakya Home, a project to provide a safe haven for these children. Now in its 12th year, Sakya Home has expanded to accommodate marginalized non-Dalit children from different districts in Tamil Nadu. Many of these children are orphans, or come from dysfunctional families affected by domestic violence and alcoholism, or from very poor landless families. Some of the children have graduated from high school and have joined engineering colleges and technical institutes. Jayasridar is proud to state that so far the hostel has produced engineers, diploma graduates, technical graduates, teachers, and nurses. Certainly, such achievements would not have been possible if these students had remained in their respective villages. In Bodh Gaya in Bihar, where the historical Buddha, Shakyamuni, is said to have attained enlightenment, yet which is also one of the most backward states in India, there are three Dalit communities, some living in conditions of extreme degradation. Although there are perhaps 70 Buddhist viharas from 20 different countries in Bodh Gaya, they do little to help. NTI alumnus Upendra Paswan works with the Musahars, a socially marginalized community at the bottom rung of India's hierarchical social structure. They suffer tremendously and many are reduced to eating rats ("Musahar" means “rat eaters” in the Bhojpuri language). In a small community center, Upendra provides a basic education to 40 children who are kept out of state-run schools due to poverty. Fortunately, Upendra is not alone. There are 18 young people from the Bodh Gaya area who have trained at the NTI and are now living as a community at the Triratna Centre there, helping to elevate the lives of other Dalits through Dhamma education and social work. In Odisha, one of India’s most underprivileged states, Biranchi runs tuition classes in the village of Tentulkhunti for 40 students from Grades 1–9 to help them improve their grades and pass their end-of-semester exams. He also encourages parents of the students to participate in weekly Dhamma classes. To create awareness of the importance of cleanliness and hygiene, Biranchi even took the initiative to organize a village meeting and convinced the villagers to pass a resolution under which anyone found relieving themselves in public areas is subject to a fine of 200 rupees. To enforce the rule, Biranchi and three friends patrolled the area during the night for a week. Eventually the practice of defecating in the open stopped. Abhaya, another NTI graduate, gathered 35 girls and started sewing classes alongside meditation and Dhamma workshops to help them overcome their shyness and inhibition. Today she has a confident group of girls from different communities who have overcome their caste biases to interact with others and who are proud to show off the salwar suits they have sewn for themselves. It is not only Dalits who have benefitted from the NTI. Chakma*** Buddhists come from Bangladesh, having fled discrimination and persecution. They live as refugees in northeast India in extremely adverse conditions, and suffer severe restrictions and violence. Eleven young people from this community have trained at the NTI and some have been able to further their education. **** For the welfare of the many, for the happiness of the many!